What Should I Do with My Passive Income from Real Estate Investing? When navigating the world of passive real estate investing for the first time, understanding how to manage your newfound income effectively can be challenging. This can arguably be one of the more difficult things to navigate. How do you responsibly utilize your cash flow? What is the best way to manage your new stream of income? Where will it make the most impact in accomplishing your financial goals? What mistakes should you avoid? If you feel lost on the question of cash flow, look no further—we’re breaking down money management principles for your passive income from real estate investing. Use your passive income to pay for expenses. Nothing feels worse than having to dip into your hard-earned money to cover the cost of an unexpected maintenance issue for your rental property. This is why the safety net is all-important in real estate investment, and it is a valuable priority that is best built up with your passive cash flow instead of your own money. That way, should you have to cover an unexpected expense, it isn’t coming out of your pocket, it’s coming out of your tenant's rent money. Taking the time to save this up to a comfortable level is no one’s favorite task, but it is a necessary one if you want to avoid dipping into your savings. It’s simply wise. Take the time to save up a safety net. Another priority is scaling your portfolio. Every investor, in order to maximize the effectiveness of their real estate investments, should aim to grow. That means acquiring more properties over time. There is no right or wrong pace at which to do this, depending on your financial situation and goals, but it should be an ever-present priority. As you gain more properties and more sources of cash flow, not only are your bringing in more passive income each month, but you are mitigating your risk by spreading it across numerous assets. Look ahead to meet your financial goals. Once you begin earning your newfound passive cash flow, the temptation may be to spend it. After all, it’s nice to have a little financial wiggle room each month. However, this is where it becomes crucial to have your financial goals clear and written in stone. 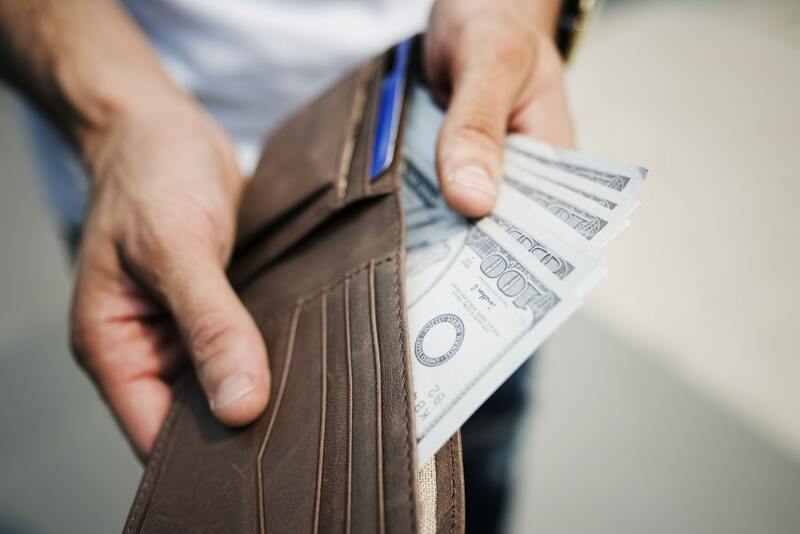 It may help you to calculate just how much you will be earning in from your investment over the next year, or five years, if you save it versus spending it. Think about what you want to do with that money. Maybe you do want to spend it...eventually. Perhaps you want to use it to invest further, go on a big trip, or save up for a child’s college fund. Regardless of the goal, you need to have your sights set on a goal. This will prevent you from losing track of your passive income or wasting it. Set your cash flow aside in a separate account. One of the best ways to keep track of your cash flow is to set it aside in a separate bank account. You can accomplish this in a variety of ways and structures. You can form an LLC to protect your liability and use the LLC to open a business bank account, where you then house your cash flow from investing. You can also utilize an SDIRA. Read more about SDIRAs, how they work, and how they can benefit you here. For you, it may be as simple as opening a separate checking or savings account. It comes down to what works for your financial goals and needs. Our advisors can help walk you through your options and determine what is right for you. Make a list of your financial priorities. Lastly, managing your passive cash flow demands prioritization. When you own one or two properties, it doesn’t seem like there is enough to go around. This is why prioritizing your exponential portfolio growth should take center stage. While you may have a great many financial goals and priorities in mind, you have to remember that focusing on accomplishing everything will result in accomplishing nothing. Put your energy in the right places and on the right things. If you are strategic and intentional, you will have room to get to the rest. Managing your cash flow, ultimately, should come down to securing your investments through risk mitigation (maintaining a safety net to cover expenses), and growing your investments. As your portfolio grows, you will find yourself with more income and room to accomplish bigger and greater financial goals. Patience is valuable with any investment. Particularly with buy-and-hold real estate, investors must be willing to let their investments grow over time. Only through responsible stewardship of your resources will you find success. Need a hand? Our investors know they can always count on our expertise and experience—whether it’s planning their next investment property acquisition or working out their financial goals. You can schedule a call with one of our advisers today to get started.